Balancing Competition and Teamwork in New Game!! How you tackle opportunities in life can determine your position and future endeavors, and there are often countless approaches to take. Picking the right one for your own happiness can be tricky; doing so may result in the unhappiness of others. 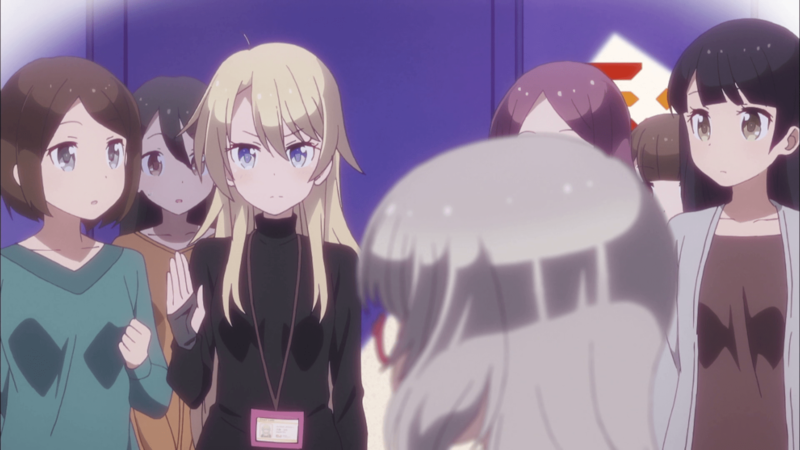 This is the dilemma faced in the second episode of New Game! !, “This Is Just Turning Into Cos-purr-lay!” With a new project on the horizon, Eagle Jump creates a challenge to all employees to win the position of Lead Character Designer. 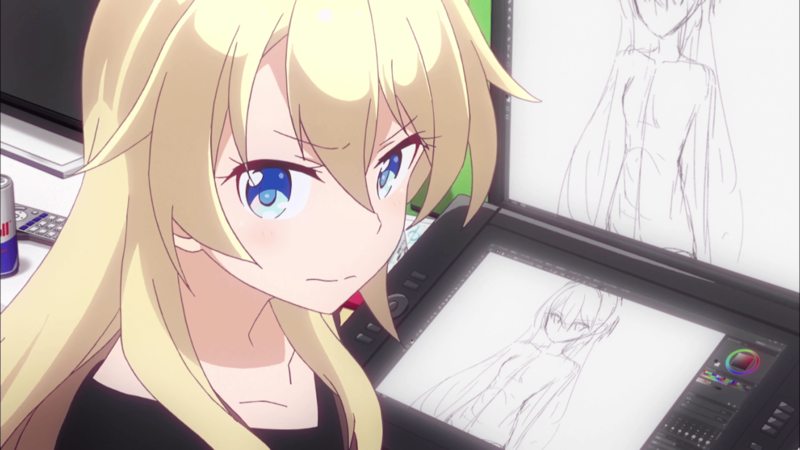 Despite Yagami Kou’s promotion to Art Director, it’s assumed by everyone that she will take part in the competition as well. Some employees, like Yun, view this as a fixed race and shy away from confrontation. Others, like Aoba, are more than eager to have this rare chance. Her gut reaction to give it her all shows just how much she’s improved since the first season, when she looked up to Yagami as a near unreachable figure. Now she’s excited to challenge her, even if the outcome is certain. Problems almost immediately pop up, though, and from the most unimaginable of sources. 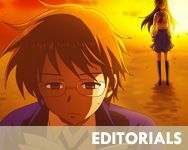 When Yagami’s designs are rejected for being too similar to those of the first game, no one is more surprised than she. It’s young Aoba who steals the spotlight with a last-minute design that lacks Yagami’s finer detail and finesse. What follows gives us hints about Yagami’s start at Eagle Jump. Will she treat Aoba similar to the way her own coworkers treated her? Instead of encouraging and welcoming Aoba, will she let jealousy and aggression create a gulf between them? Competitions of this nature are a more sanctioned display of some workplace politics. There are job environments where undercutting your peers so you can rise to the top is normal, even expected. I know people who prefer to keep the peace and avoid conflict by never standing out. Their ideas may be better than others proposed at meetings, but they either don’t voice them, or let them get taken by more vocal coworkers. If you want recognition and higher pay, sometimes you feel the need to be ruthless and cut ties when necessary. I’ve had the fortune of never working in a hostile environment. My bosses tried to treat their employees like family, and I befriended most of my coworkers. There were some clashes with others, but I didn’t work directly with any of them since we focused on different departments. When we needed to communicate, professionalism always allowed us to push past our differences. There were times, however, when a problem needed addressing, but no one was willing to speak up to the business owners. This was a small company, and as much as the owners tried to treat us “like family,” there were plenty of times where the hierarchy and support of a large corporation would have been ideal. My coworker was too scared to voice her opinions, remembering a past situation where she was not only ignored, but even ridiculed at a performance review. I thought her opinions invaluable, and had worked at enough places to know the importance of asserting yourself. When I requested a meeting and brought up the issue, the owners listened carefully and agreed, then went so far as to thank me. Their favorable response prompted me to cite my coworker so she could receive the proper recognition. It turned out that her negative experience happened not only several years past, but also when the owners were still young in the business themselves. Through their own trials and mistakes, they loosened up and were more open to critique. They acted upon my coworker’s ideas, and she became visibly happier in her tasks. Yagami could have easily chalked up her cold reaction towards Aoba’s success to a natural result of competition, and taken a more combative approach with her next designs rather than providing advice. She could have even stolen Aoba’s ideas and made them her own with prettier packaging. I’m sure if she went with either path, Aoba’s inexperience would have tripped up her progress and delayed her rise in the company. Instead, Yagami chose to help her. This decision not only aids a growing artist, but also promotes a healthier workplace environment where people can rely on one another without fear of betrayal and work more efficiently together. A group is only as strong as its weakest point. If everyone can step forward of one mind, then the likelihood of success is much higher. When the time comes again, Yagami and Aoba can face off and improve from their rivalry. Competition is healthy, yes, but there comes a point where we need to lay down our differences and focus on the final product. “This Is Just Turning Into Cos-purr-lay!” New Game!! 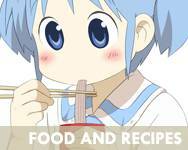 Crunchyroll. 18 Jul 2017. Ah, you beat me to what I wanted to say about the show. But I really enjoyed how they doubled up on both Yagami and Aoba growing from this experience, as I love the idea that even successful people can learn more about themselves. Also, I love how they traced the idea of Aoba literally externalizing being absorbed by her work and/or absorbing her work with the initial design idea. I figured I needed to move fast on this topic since the show is pretty popular. The themes of this episode in particular, while more serious than usual, seemed to really resonate with viewers. I’d still be interested to read what you have to say about it in a post of your own. Aoba’s character shows in quirkiness whenever she’s alone drawing, like that whole pencil and eraser scene. And how like her to be inspired by her own sleeping bag! I keep on trying to think about how I would have approached it, and keep coming up paler than what you’ve said already. I love it’s take on the”failure is not only an option, but a teacher” approach, as much as I love Yagami surrendering to her better angel. That sleeping bag was made to inspire! I have been reading this manga almost from the get go, and the material it looks like they are going to cover in season 2 are some of my favorite chapters. 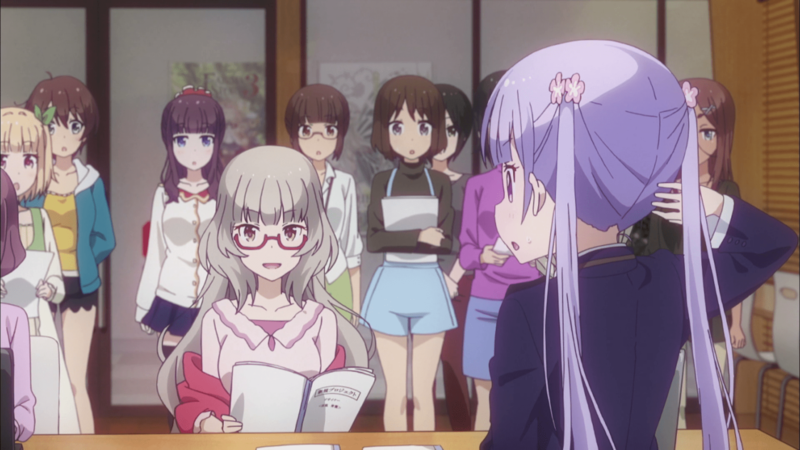 The initial adjustment period for Aoba is over and now she is just beginning to “become her own person” if you will, amongst a collection of people who have already gone through these steps and initially found their place. Whenever this happens (especially in smaller companies) since there is a mindset of a sort of limited space and tasks there is always a sort of jostling (intentional and unintentional) period of time as the real person steps into the foreground and begins carving out the footsteps in which they will stand. The results are understandable “clashes”. It truly was a treat to see such a common workplace occurrence so eloquently and gently told as done here in the second episode. I’m hoping we’ll see more and more of this tone through this sequel season, particularly with Aoba becoming comfortable with her own desires and path to obtaining them. I thought it was interesting in the first place that they’d hold a competition on merit for something as basic as the character designer position. To me that points to a corporate culture that’s quite different from most, where by default it would go to the usual or senior character designer. It’s not that it was unrealistic, just more out of the ordinary (for instance recall the lengths that Musashino Animation had to go through to have Yuma Iguchi be the character designer rather than Rinko Ogasawara in Shirobako). And I think that was some of Yun’s thinking about it, that there was no way that it would be awarded on merit, even though it was for Kou years ago. Or even if merit was factored in, it would take something spectacular to beat Kou, even if hers was average. I also wonder if they’ll touch on the idea later that the results that they ended up with – Aoba and Kou as co-designers – are probably as good as they could be from almost every perspective if Kou and Aoba are able to have a good working relationship (which you’d think they will, because they’ve shown themselves to be conscientious about their relationship so far). The company gets a fresh design, Aoba gets more hands-on experience with character design, and is in a position that justifies her spending time on it, but also has Kou over her shoulder for review and work experience. 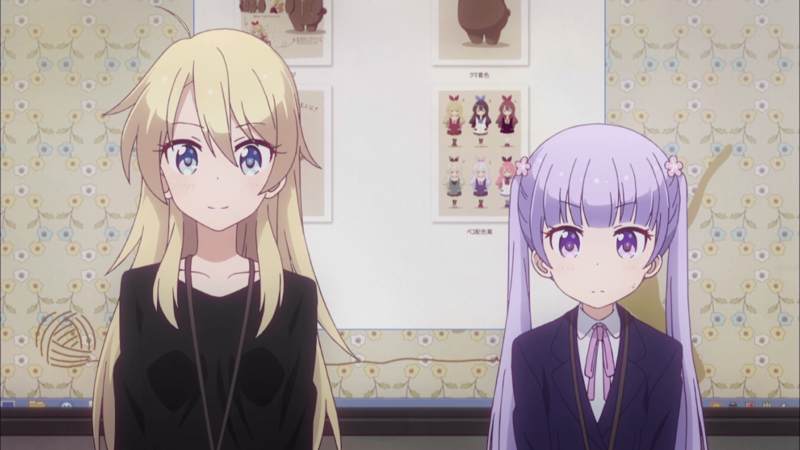 But also Aoba gets the possibility of learning more managerial skills, as she’ll possibly have a lot of the questions directed her way from the other designers, but she can also lean on Kou to make final decisions. And it’s not all Aoba’s benefit: Kou can offload some of the work of character design to Aoba, and as long as they don’t get too behind, it will free her up to focus on the art direction. It’s also important to realize that just about any workplace can be a good place to work as long as the atmosphere is open, congenial, and conscientious. If everyone is cooperating to make the best product you can in the time allowed, then that’s what you’ll get. Competition sometimes do breed hostility, though we are more worried about pragmatism and effectiveness if nothing else. People who can’t get the job done fast enough gets cut off, and people who made mistakes are less forgiven unless you’re an established senior. Companies expect you to be pragmatic and get things done and give you close to no chance to learn and adjust, which can be especially challenging for newcomers with no prior work experience. Backstabbing is also a fairly common problem that I have faced myself. 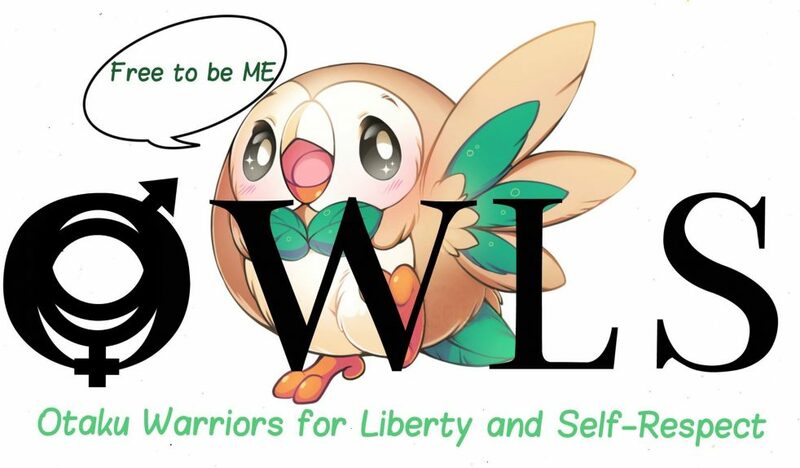 Having a legit competition is unheard of, though I think we have enough issues as it is even without them, lol. I do find the more unforgiving attitudes prevalent in larger companies. I have had the fortune of kinder authority in the small companies I’ve worked for, where they cared about our work satisfaction and learning process. I’ve also never had to deal with backstabbing in the workplace, thank goodness.